I’m trying to lose a few remaining post-pregnancy pounds. I came home last night, made a wonderful-sounding new dish, and sat down to a family dinner. It was terrible. After a few bites, we threw it out and ate peanut butter and jelly sandwiches, with a side of junk food. 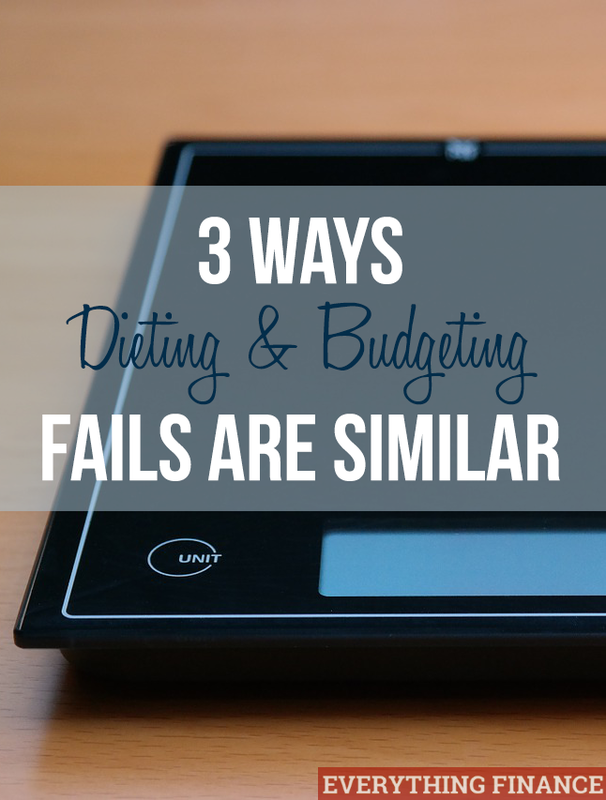 This morning, I questioned how I could have handled that situation better, and it occurred to me that dieting and budgeting fails have a lot in common. Many people who go on diets experience a yo-yo effect. After they successfully lose weight, they go off their diet and attempt to go back to living like a “normal” person. Some time passes, and the weight starts to creep on a little at a time, a thing that has helped me is drinking tea from https://lumitea.com/, they definitely have the beast teas to lose weight. />. If you’re a yo-yo budgeter, then you do a fantastic job making and sticking to a budget. You reach your goal, or maybe some time just passes, and then you let “normal” life creep in – maybe you start eating out or treating yourself to Starbucks a little too often. Before you know it, you’re back where you started from before the budget – your savings are gone, or you’ve racked up credit card debt. The key to avoiding the yo-yo effect is to regularly weigh yourself. Just as a dieter will step on the scale to verify no pounds have crept back on, you should take regular stock of your financial situation. Are your debts shrinking? Is your savings account growing? How are your investment and retirement accounts doing? If you see problems, make adjustments to your budget quickly, and stick to them. You’re on a diet, doing a great job, but then you have to attend a company lunch that’s going to have all sorts of forbidden foods. So you make an exception to your diet and then, because you fell so far off the wagon, you decide to go ahead and order pizza for dinner and polish off the last of the ice cream. You’ll start your diet again “tomorrow”, though you’ve probably offset any weight loss for that week. We see this in the budgeting world, too. Maybe you have to buy a gift that wasn’t in your budget or you legitimately had to replace some shoes, but then you take it too far. You load your Target shopping cart up with clothes, home accessories, and those really cute office supplies that you didn’t really need. After all, you can get back on your budget tomorrow. The problem is, you are robbing Peter to pay Paul. If you have savings or debt pay-off goals, you are sacrificing them with your lack of self-control. Keep all purchases in perspective and don’t be ashamed to return items that you bought impulsively. My mother-in-law loves sweets. Her purse is always stocked with honey buns. It’s a good thing she runs marathons – those honey buns don’t go straight to her thighs. In fact, she justifies her sweet tooth, knowing she can just go run 20 miles later, and she’ll never see a difference on the scale. But dieting isn’t all about weight loss (or it shouldn’t be) – it should be about making life-long healthy habits. So maybe you think, “I can buy these shoes and I’ll just pick up an extra shift this week to make up for it”. The problem is that you haven’t actually learned how to live within a budget or how to delay gratification. By making plans for your money, you make it work for you, not the other way around. What are the biggest excuses you make when you fail at sticking to your budget (or diet)?